North States Baby Gate Just $16.40! Down From $36! At Walmart, you can score this North States Baby Gate for just $16.40 down from $35.99 PLUS FREE store pick up or FREE shipping for orders $35 or more! Keep your child safe and secure with the Supergate Classic by North States. Use it to securely block doorways, stairways and other spaces — what a great way to bring additional fun to the playroom. Right out of the box, the Supergate Classic can be used as a quick and easy pressure-mount gate, requiring no measuring or tools. Simply expand the gate in the opening and lock the handle. Well-suited to blocking doorways, the gate includes door sockets that provide extra holding power for pressure mounting in openings between 26 and 42 inches wide. This gate can also be used as a swing gate or a gate for the top of a stairway; all of the necessary hardware is included, simply follow the instructions. Practical function and a vibrant color together in one product, it doesn’t get better than that! 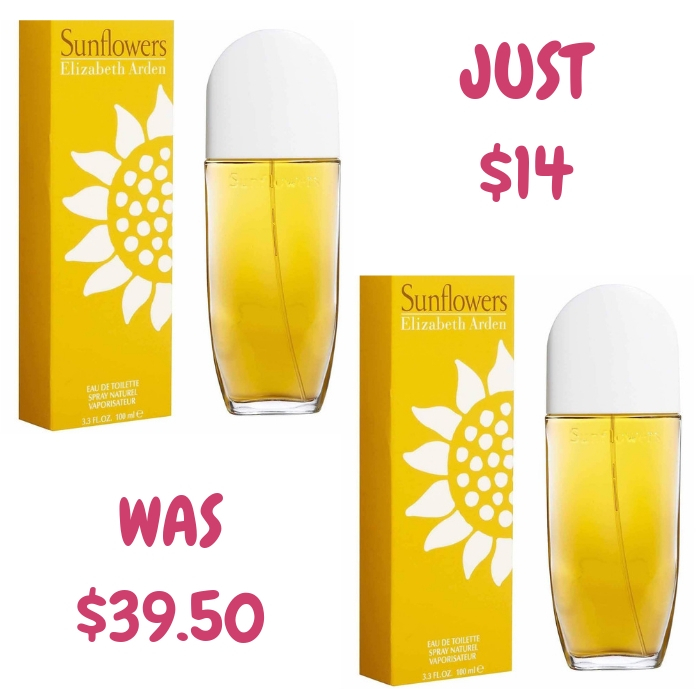 Elizabeth Arden Women’s Perfume Just $14! Down From $40! At Walmart, you can score this Elizabeth Arden Women’s Perfume for just $14 down from $39.50 PLUS FREE store pick up or FREE shipping for orders $35 or more! Introduced in the year 1993, by the design house of Elizabeth Arden. Sunflowers is a refined, aquatic with a blend of fruity, fresh florals. It is recommended for evening wear. It’s a great gift idea this Valentine’s Day! 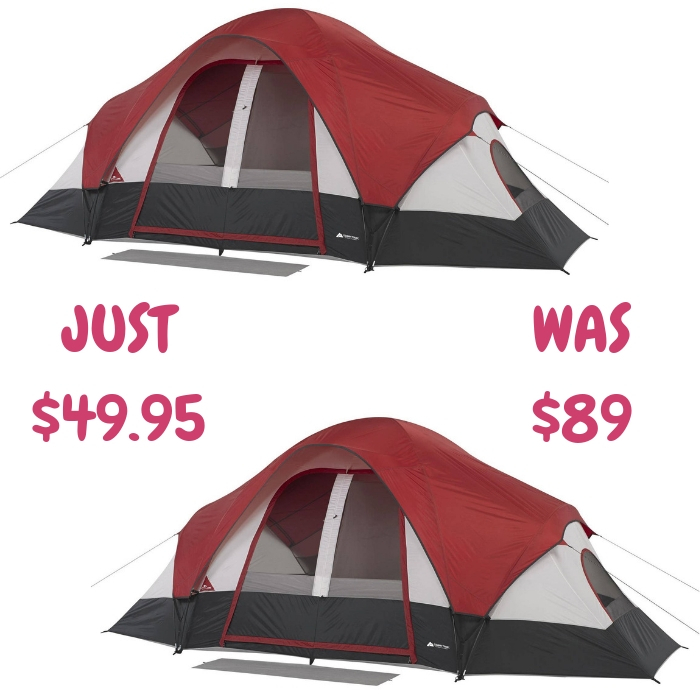 Ozark Trail 8-Person Tent Just $49.95! Down From $89! Shipped! Head over to Walmart to score this Ozark Trail 8-Person Family Tent for just $49.95 down from $89 PLUS FREE shipping! Gear up for your next outdoor adventure with this Ozark Trail 8-Person 16 ft. x 8 ft. Family Tent with Built-in Mud Mat. Easy to set up, it’s made of high-quality, weather-resistant material. This Ozark Trail camping tent features five extra-large windows for comfortable ventilation and a mesh roof for star-gazing at night. It also features a front mud flap to keep your interior space clean and a removable center room divider that lets you create two separate living spaces or leave it open as one. Additionally, the Ozark Trail Eight-Person Family Tent has two front doors that allow for an easy exit or entrance to each room and built-in storage areas for your belongings to keep them dry and protected. An expandable carry bag provides a convenient option for transport and storage. 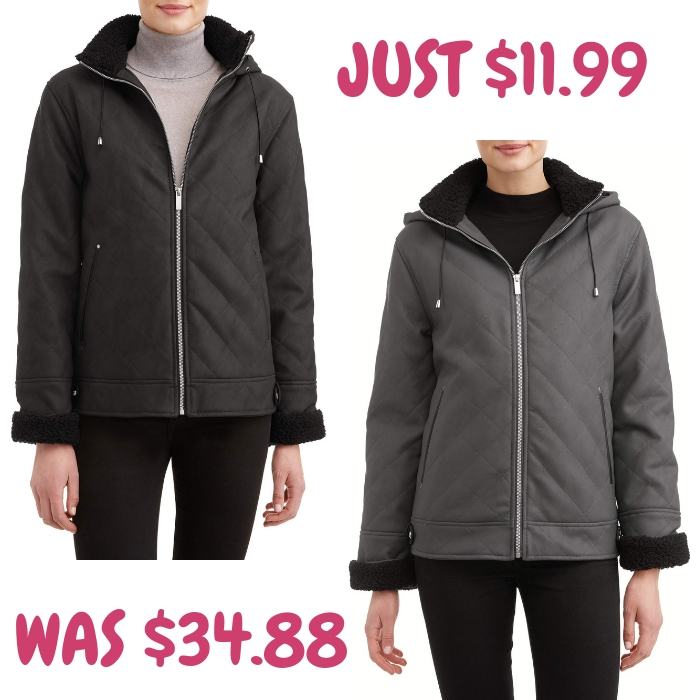 Women’s Sueded Coat Just $11.99! Down From $35! Score this Women’s Sueded Coat With Hood which is on sale at Walmart for just $11.99 down from $34.88 PLUS FREE shipping for orders $35 or more! This coat is so soft, you will think it’s real Suede, but it’s Faux. And it looks even better than it feels. Stylish diamond quilting and plush berber trim makes it a must have. 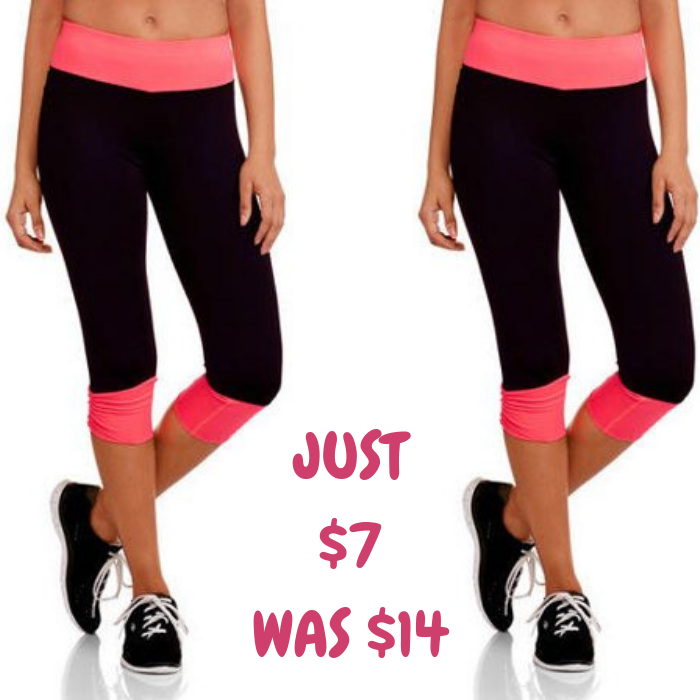 18-Inch Capri Pants Just $7! Down From $14! Head over to Walmart to score these Ruched 18″ Capri Pants for just $7 down from $13.88 PLUS FREE shipping for orders $35 or more! This Danskin Now Juniors’ Ruched 18″ Capri with Contrast Detail provides an excellent comfort and style for your active wardrobe. These pants are breathable, stretchy and feature moisture wicking technology to keep you cool and dry during your workouts. It has a contrast color elastic waistband with a flattering ruched back and logo. Pair with Danskin Now performance tops to complete your look. 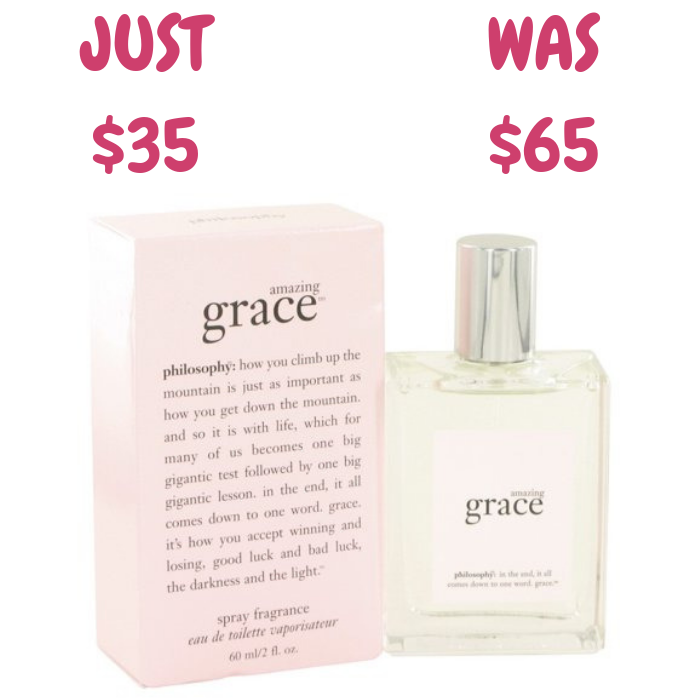 Women’s Amazing Grace Spray Just $35! Down From $65! Shipped! Walmart has this Women’s Amazing Grace Spray on sale for just $35 down from $65 PLUS FREE shipping! Amazing grace, the 2003 white floral fragrance from philosophy, hits all the right notes. The scent opens with a bright pop of bergamot and grapefruit that revitalizes your spirit before blossoming into a jasmine and freesia heart that’s as fresh and welcoming as a warm, breezy day. A base note of musk adds depth without weighing it down. This delightful composition is a wonderful everyday choice for women who embrace the sunnier side of life. Makes a great gift this Valentine’s Day! Bella Rotating Waffle Maker Just $19.84! Down From $40! 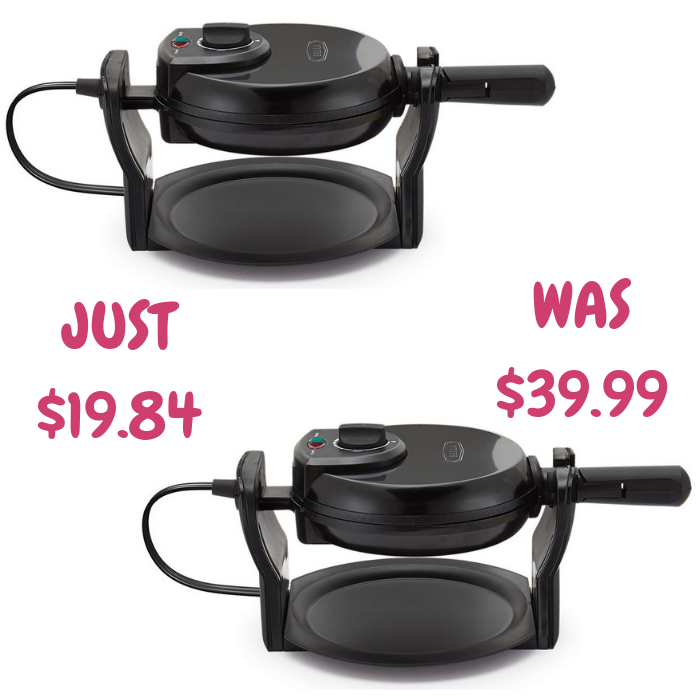 At Walmart, you can score this Bella Rotating Waffle Maker for just $19.84 down from $39.99 PLUS FREE store pick up or FREE shipping for orders $35 or more! Making Belgian waffles has never been easier with the BELLA Rotating Waffle Maker. The unique 180° rotary feature of the Bella rotating waffle maker ensures even cooking. The nonstick cooking plates and removable drip tray will make cleaning a breeze. The folding handle will ensure easy storage while the indicator lights ensure foolproof performance and provide a perfect restaurant style Belgian Waffle every time. 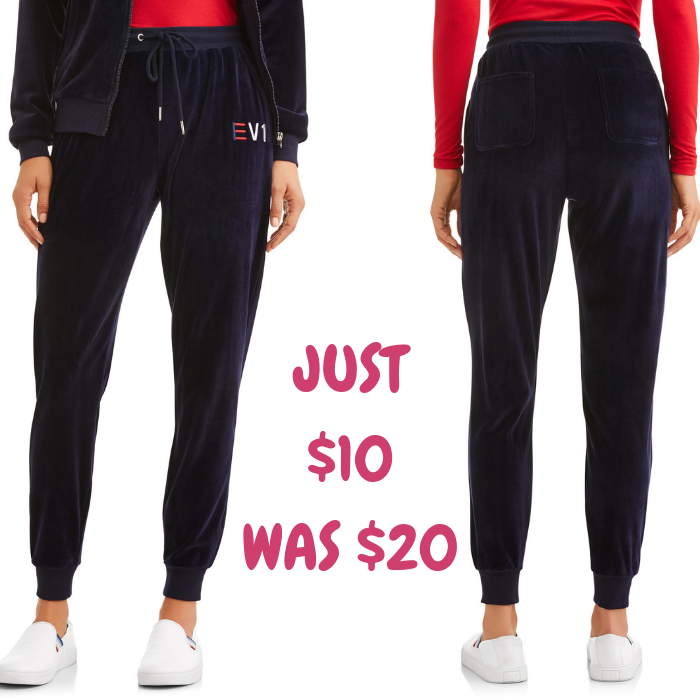 Women’s Heart Velour Pant Just $10! Down From $20! Women’s Heart Velour Pant Just $10! Down From $20! ! At Walmart, you can score this Women’s Heart Velour Pant for just $10 down from $20 PLUS FREE shipping for orders $35 or more! Add a touch of luxe to your athleisure outfit with these women’s velour pants from EV1. The velour fabric and combined hint of stretch make this a stylish pair you can wear comfortably whether you’re at home or out and about, and there’s a studded heart applique on the front for a dash of romance. Two side pockets and two back pockets keep accessories and essentials secure when you’re on the move, while the ribbed waistband and drawstring provide a customized fit. These velour joggers are available in a gorgeous Evening Blue colorway. Pair them with the EV1 women’s velour hoodie for a complete head-to-toe look. 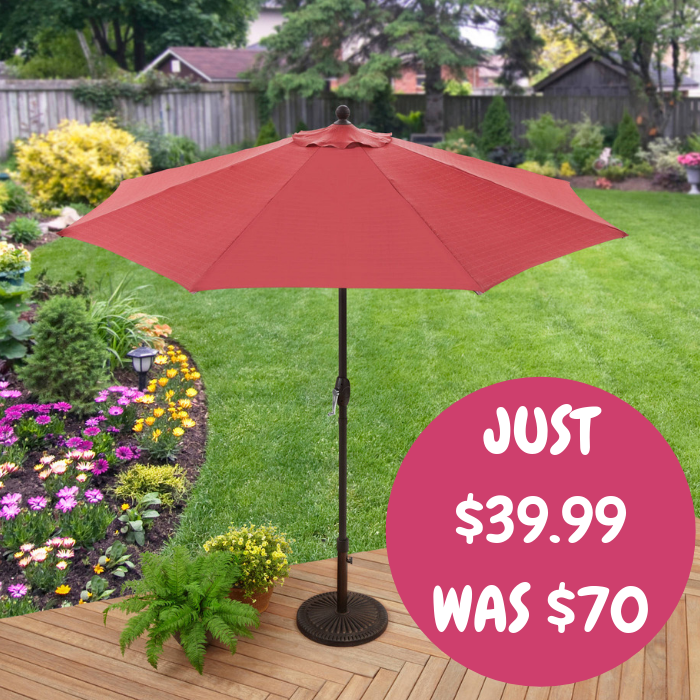 9-Foot Market Umbrella Just $39.99! Down From $70! Shipped! Walmart is currently offering this Better Homes And Gardens 9-Foot Market Umbrella for just $39.99 down from $69.99 PLUS FREE shipping! Make a quick and easy update to your backyard space this summer! This Better Homes & Gardens Market Umbrella features a better quality polyester canopy that is more fade resistant than average polyester. With an easy open crank mechanism, there’s no leaning over the table to add some shade to your outdoors. The three position tilt allows you to adjust the umbrella angle throughout the day to maximize your usable shade. 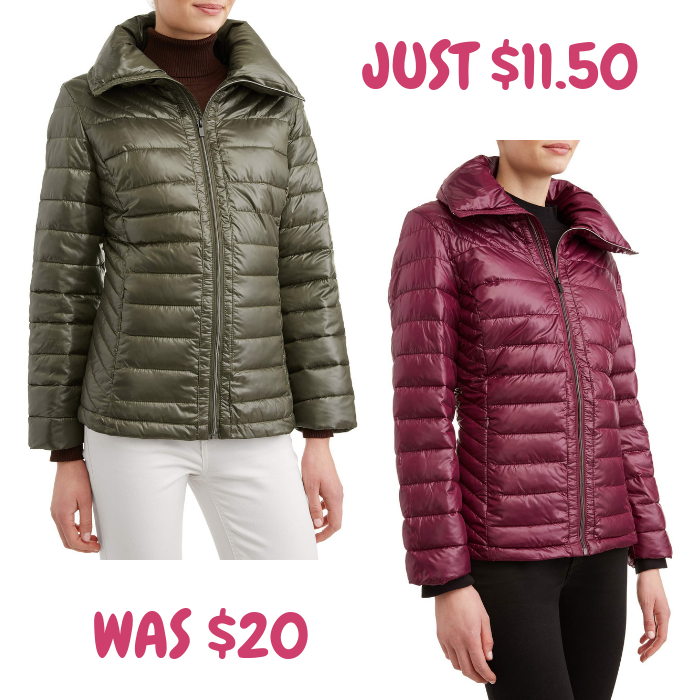 Women’s Quilted Jacket Just $11.50! Down From $20! Head over to Walmart to score this Women’s Quilted Jacket for just $11.50 down from $20 PLUS FREE shipping for orders $35 or more! This is a great choice for this cold season! Good quality and stylish! Choose from different colors and sizes! Tasty 3-Piece Cookware Set Just $19.97! Down From $48! 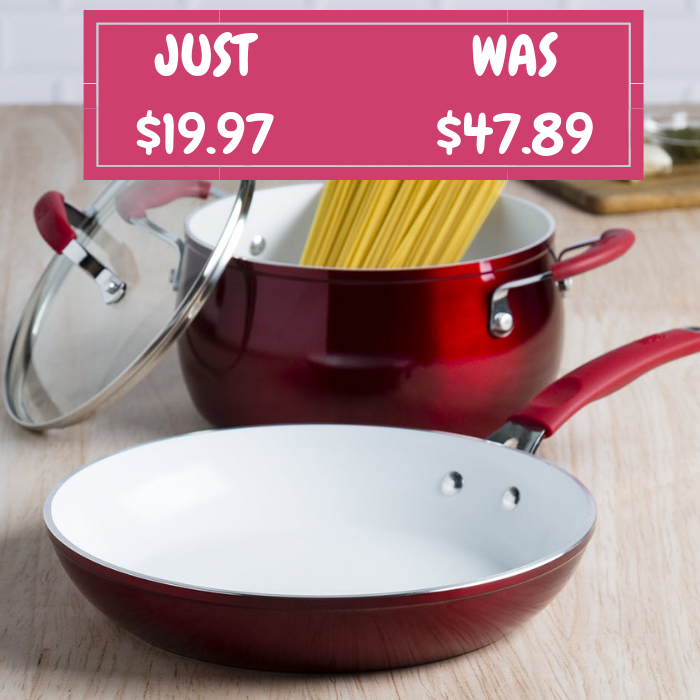 At Walmart, you can get this Tasty 3-Piece Cookware Set for just $19.97 down from $47.89 PLUS FREE store pick up or FREE shipping for orders $35 or more! All the basics you need to start cooking in one box. Just add your ingredients! Set your kitchen up for success with this 3 piece cookware set that includes everything you need to serve up some love, phone-to-table style. The non-stick coating on this cookware set is PFOA-free, so you don’t have to worry about toxic chemicals making their way into your food. The heavy gauge forged aluminum construction on this cookware set guarantees optimum heat distribution for fast and even cooking, while the induction base can be used on any cooking surface- even those fancy induction cooktops. Women’s Strappy Sandals Just $27.99! Down From $55! Head over to Walmart to score this Brinley Co. Women’s Strappy Sandals for just $27.99 down from $54.99 PLUS FREE shipping for orders $35 or more! Show off the best boho look this season with strappy flat sandals by Brinley Co. Intricate straps overlap and create a basketweave design for a decorative appearance and closed back heels feature zipper detail to finish the look. 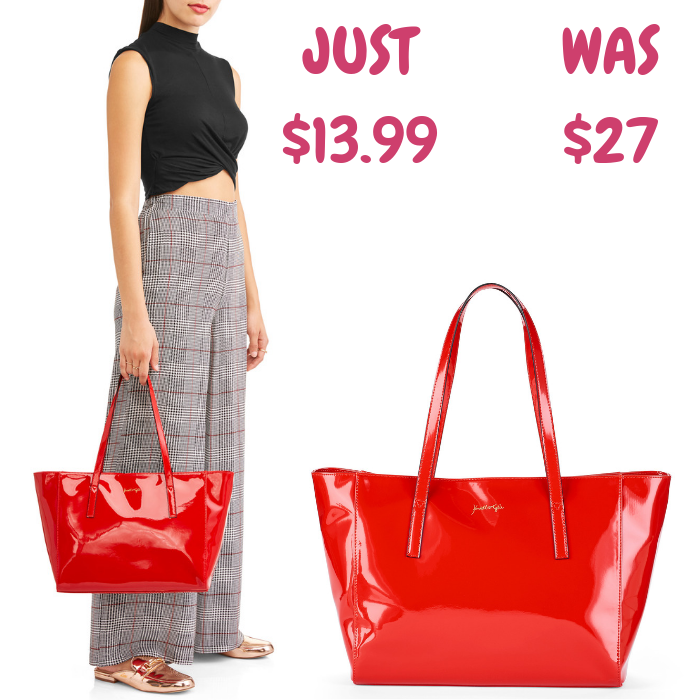 Kendall+Kylie Red Patent Tote Just $13.99! Down From $27! Walmart is currently offering this Kendall+Kylie Red Patent Tote for just $13.99 down from $27 PLUS FREE shipping for orders $35 or more! Kendall + Kylie red patent medium top zip tote. Fits a 13 inch notebook and all your essentials for work. This soft patent tote elevates any outfit and is the perfect pop of color. Fits comfortably over the shoulder. Women’s Fleece Top Just $9! Down From $20! Score this Women’s Everyone Fleece Top which is on sale at Walmart for just $9 down from $20 PLUS FREE store pick up or FREE shipping for orders $35 or more! This Fleece Top is a must have! It’s good quality and has a cute design. You’re gonna love it! 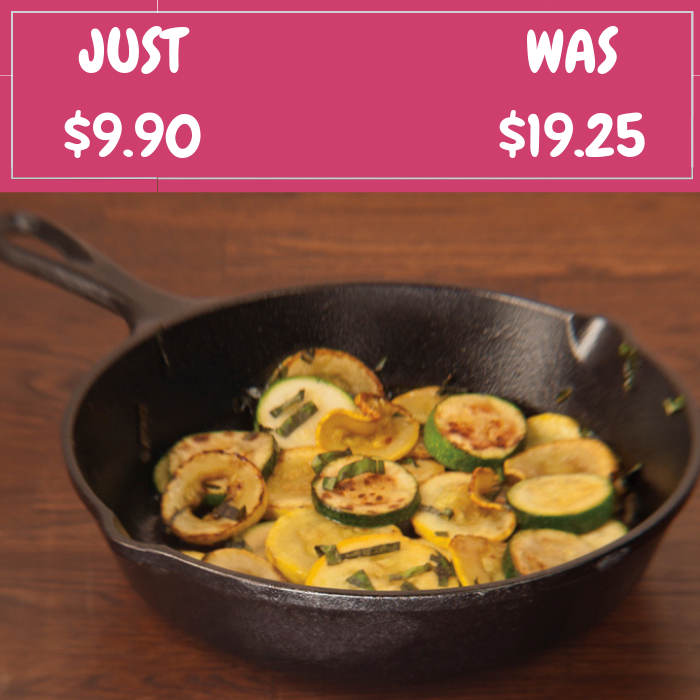 Lodge 8″ Iron Skillet Just $9.90! Down From $19! Head over to Walmart to get this Lodge 8″ Iron Skillet for just $9.90 down from $19.25 PLUS FREE store pick up or FREE shipping for orders $35 or more! The Lodge Cast Iron 8-inch Skillet is a multi-functional cookware that works wonders with slow-cooking recipes and all your favorite foods. Fry up chicken, saute vegetables or bake an apple crisp in this generous 8-inch pan that features two handles for heavy lifting and two subtle side lips for pouring. Cast iron loves a campfire, a stovetop, or an oven, and can slow-cook foods without scorching. It retains heat well so you can sear meat at higher temperatures and will keep your delicious meals warm for a long time. Whether used in a kitchen or camp, theses virtually indestructible cookware should last for generations. Made of cast iron, this Skillet evenly distributes heat from the bottom through the sidewalls. Sporting a stylish black color, the cast iron Skillet looks good in most kitchens and it doubles up as an excellent source of nutritional iron. 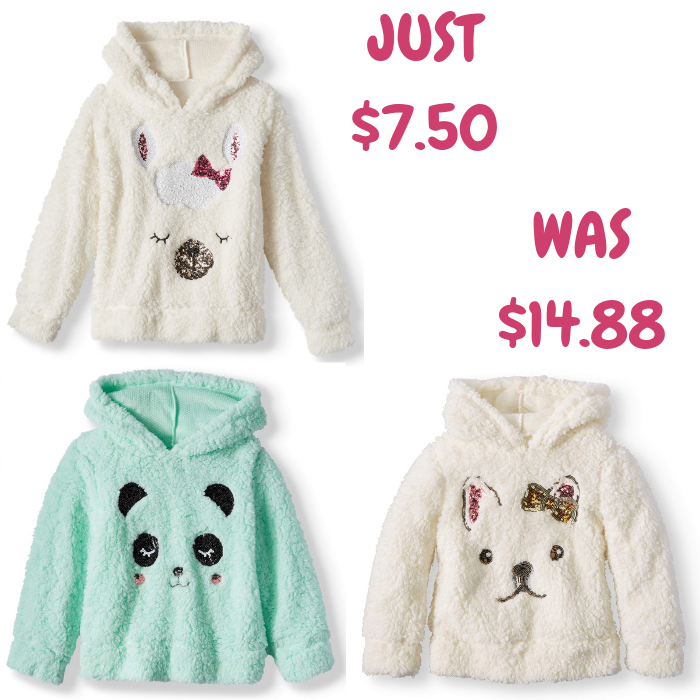 Plush Sherpa Hoodie Just $7.50! Down From $15! At Walmart, you can score this Plush Sherpa Hoodie for just $7.50 down form $14.88 PLUS FREE shipping for orders $35 or more! Put her into this cozy hoodie and add some fun and value to your girls’ wardrobe with this hoodie graphic pullover. This top is a great fashion & holiday piece.